There is a forthcoming highly significant and very tragic publishing event which relates to the rationalist/ anti-rationalist divide in the Jewish community. A few days ago I was sent a top-secret draft of a book that is going to be published shortly. I have no idea how the person who sent it to me obtained it; it certainly did not reach me with the permission of the author. It's so top-secret that every Rav to whom it was sent for a haskama had to sign a non-disclosure agreement, and the manuscript was returned to the author afterwards. The book is in Hebrew, written by a Rabbi Rafael Szmerla (or Schmerla), who is a Dayan in a Lakewood institution under the auspices of Rav Shlomo Miller of Toronto. The book is titled Ki Ani Hashem Rof'echa, and it is dedicated to advocating for alternative medicine. The chapters discuss auras, chi, reiki, energy healing, distance healing, meridians, acupuncture, applied kinesiology, emotional freedom techniques, dowsing, homeopathy, radionics, crystal healing, geopathic stress, feng shui (the mystical practice of it, not the furniture arrangements), iridology, reflexology, and other forms of quackery. The author claims that those who argue against such alternative medicines due to their being "scientifically undetectable" have been influenced by "Greek philosophy" and will end up as heretics. He stresses that accepting the truth of these treatments even without a scientific justification is an essential part of Jewish identity, as per the declaration at Sinai of naaseh v'nishma, we will do even if we do not understand. And at the end of the chapter on radionics, he adds that relying on such treatments helps our faith in the Sages, who were scientifically far ahead of us. The book concludes with an explanation of why it is called Ki Ani Hashem Rof'echa and an outright attack on modern Western medicine. Sicknesses are supposed to turn man toward God in prayer and bitachon, but modern medicine and the "arrogant doctors" instead turn people away from God. How many people, he bemoans, trust doctors more than Chazal?! The philosophy of modern medicine, he declares, "stands in complete contradiction to Torah values." The solution is to turn to alternative medicines, which are based on the idea of energies, which in turn are mystical/ metaphysical forces related to spirituality, which flow from God, and thus the practice of alternative medicine leads people to God. The essential point that the author gets wrong is that the reason why the medical establishment is against all this quackery is not merely that there is no satisfactory explanation for how it could work. Rather, it is because there is no evidence that it works. Anecdotal evidence does not count for much, especially when you take into account the placebo effect. The only meaningful test of whether a treatment works is double-blind testing, something that all these alternative remedies invariably fail. Unfortunately, this is something that the author explicitly rejects in a footnote in the concluding chapter. He states that requiring double-blind testing and rejecting anecdotal evidence due to the placebo effect stands in direct contradiction to Chazal, who only required that a treatment appear to work on three occasions to declare it effective. Which is indeed true, but it is also the reason why, in Chazal's time, life expectancy was very low and mortality rates were horrifically high. Now, there are all kinds of silly superstitious sefarim that are published all the time. In the past, I have written about To Fill The Earth: 277 Segulos and Advice on Fertility Issues, In Personal Consultation with Maran HaRav Chaim Kanievsky, Shlitah, which includes such gems as "A dried pig's testicle, pulverized and ground up, will help a woman conceive; if the right testicle is used, a male child will be born; if the left testicle is used, a female child will be born." Such books are not necessarily worth getting worked up about. But this one is different, and much more problematic, for three reasons. First, telling people to use ineffectual alternative medicine is not harmless, especially when it is accompanied with an overt rejection of conventional medicine. There is a real risk of people neglecting to treat themselves in a way that is actually helpful. Second, there is likely to be a strong connection between rejecting conventional medicine and not vaccinating children. [UPDATE: I was just sent a lengthy responsum by Rabbi Szmerla in which he strongly opposes vaccinating children.] England's Jewish Chronicle recently published a fascinating and disturbing article about the very low rates of vaccination in the charedi Jewish community. This has catastrophic results; one charedi girl developed meningitis and required a triple limb amputation, r"l. The question discussed in the article is that it is not clear why vaccination rates are so low. 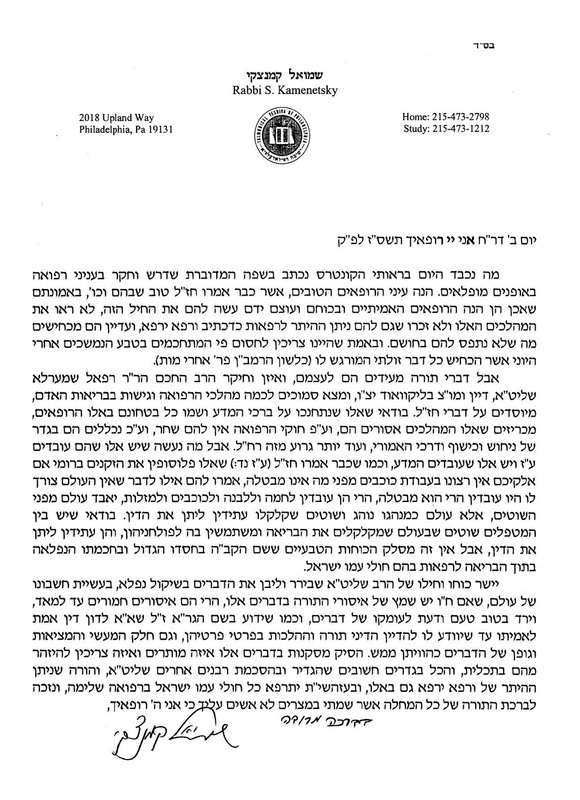 One of the frum doctors interviewed says that his patients tell him that their rebbe told them not to vaccinate, but when he speaks to the rebbes they vehemently deny it. Others suggest that the charedi women are so overwhelmed with their children and with working to support their husband's bitachon that they simply don't have time to take their kids to the doctor. But it seems to me that there is another factor involved. This is a community that is taught to believe that the scientific establishment is the enemy. If the scientists are wrong about dinosaurs and about global warming and about spontaneous generation, they are probably wrong about vaccinations too. The third reason why this book is particularly dangerous is has the most extraordinary range of haskamos. These include from Rav Moshe Shternbuch and Rabbi Yitzchak Tuvia Weiss of the Eida Charedis, Sefardic Chief Rabbi Yitzchak Yosef, Rav Elya Ber Wachtfogel of South Fallsburg, Rav Mendel Shafran, Dayan Gavriel Krausz from Manchester, and more. Now, these people are from the very right wing of charedi Orthodoxy, or other extreme anti-rationalist communities. However, there is also a glowing haskamah from Rav Shmuel Kamenetzky, who is generally regarded as the most moderate (and most important) of all the American charedi Gedolei Torah. Unfortunately, while he has in the past demonstrated some rationalist sympathies (and it was his haskama to one of my books which was the reason why they were banned, due to his zealous opponents), he is already known to be strongly opposed to vaccines (see my post Frum Ways To Die). In his haskamah to Ki Ani Hashem Rof'echa, Rav Kamenetzky begins by noting Chazal's statement that "the best doctors go to Hell" and explains that it is their arrogance which takes them there. He writes that we have to silence those who insist upon empirical evidence. While, he notes, there are charlatans/ idolaters in alternative medicine, nevertheless there are also divinely-placed forces that we should make use of to heal people. My question is as follows. If and when there is, G-d forbid, an outbreak of measles or mumps in the frum community, or people who neglect conventional medicine in place of alternative therapies, and as a result children suffer amputations or deaths, who is responsible? Is it the Gedolim who advocate against conventional medicine in favor of alternative medicine, but who genuinely believe that these things work because they are too uneducated to know otherwise? Or does the responsibility lie with the other rabbonim and people in the charedi world, many (perhaps even most) of whom do not believe in alternative medicine, but who have given the Gedolim the elevated status to have a large following, and who will be too afraid to speak out against this sefer due its prestigious haskamos from Gedolim? There is a cheshbon hanefesh that needs to be done, and better sooner than later. Thank you for this important article on what sounds like a horrifying book. What happened to Cherem Rabeinu Gershom ? Reading something not intended for your eyes. A straight thinking observant Jew cannot completely accept the principle of requiring scientific evidence to accept something because no such evidence is available for G-d's existence or for kabalas haTorah. There is a difference between accepting evidence for something which is testable and not requiring evidence for something inherently untestable. And it requires a classical education to understand the difference. This is borderline heresy. Only something that is falsifiable is amenable to scientific inquiry. Are you implying that G-d's existence is falsifiable? If not, then your analogy is completely refuted. A purely scientifically minded person will not accept something inherently untestable as fact. At most he'll say it's a possibility. To be religious requires turning a blind eye to scientific method. @Charlie Hall: Why would it be heretical to insist that God's existence is falsifiable. A believing positivist would argue the opposite: anything unfalsifiable either meaningless or else in the domain of logic/math which is true only because it has not empirical meaning. An unfalsifiable deity is a meaningless deity. "To be religious requires turning a blind eye to scientific method." "No such evidence is available for G-d's existence or for kabalas haTorah"
At best one might say "I haven't seen such evidence yet" in which case, it's ok to be ignorant but don't stay that way! Go find it! If your rebbi doesn't know, go out and search for another one. do not accept cop outs and "you just cant know"s.
For a very accessible (and English) approach to evidence of God's existence see Rav Noach Weinberg recordings and of course read the first halacha in Rambam Mishne Torah (Yesodei Hatorah 1:1 and 1:2) very very carefully and understand what Torah Jews actually care about/worship/serve/consider of ultimate importance. Not typical god concepts. "To be religious requires turning a blind eye to scientific method." No it doesn't. No more than being an art critic requires turning a blind eye to the scientific method. It only requires recognizing that there are other ways to gain other types of knowledge. Feel free to read them all. Then come to me and I will show that every single one of the pieces of evidence is a load of bulls**t.
"One of the frum doctors interviewed says that his patients tell him that their rebbe told them to vaccinate, but when he speaks to the rebbes they vehemently deny it." Aargh, that was a typo! Thanks! I just finished a long debate in a local neighborhood mailing list with some anti-vax people. It's scary how they refuse to accept conventional medicine, choosing instead to see them as part of a big conspiracy. needles regardless to acupoints gets the brain attention diverted. It's the Chinese philosophy behind it that is quack, the results can be explained otherways. There is evidence that acupuncture can be efficacious for treating some kinds of pain and this is pretty well accepted. But the theory behind acupuncture is all wrong. And there isn't much evidence that it works for much else. See, e.g., https://nccih.nih.gov/ and https://www.mskcc.org/locations/bendheim-integrative-medicine# for alternative medicine/therapies considered useful and effective by non-quacks. The only evidence for acupuncture is that, like other alternative therapies that involve physical intervention, that has a stronger placebo affect than simply waving a crystal, or taking a pill. Tests have shown that acupuncture does indeed have an effect, but also that you can stick the needles pretty much anywhere, as long as you tell the patient that you know what you are doing. There has been no evidence of specific 'energy lines' in the body which the needles tap into or disrupt. There's no validity to acupuncture. Every attempt to claim there is validity is based on flawed methodology. Double-blinding, for example, really *is* possible to do with acupuncture. Acupuncture, of all of the quackeries, is the most difficult by far to double-blind correctly, which is why there's more doubt about it than other quackeries. But there is a clear difference between the high-quality trials, which demonstrate that it does nothing, and low-quality trials, which claim that it has an effect. See https://sciencebasedmedicine.org/acupunctures-big-myth/ for a wonderful article on how acupuncture is so varied among different practitioners that saying "acupuncture works" means absolutely nothing in practice. I know this is just anecdotal, but I have used acupuncture to good effect for an arthritic foot. My wife's Barrett's syndrome was also completely reversed (disappeared) as a result of acupuncture--this was an objective result verified by her doctor with an endoscopy, so it can't be discounted as a placebo effect. It may have disappeared subsequent to an endoscopy, but while the absence of Barrett's may be verifiable with an endoscopy, the mechanism for its disappearance is probably tougher to confirm! @Anonymous: Besides all the other issues with your evidence: post hoc. um I don't think so. In fact I guarantee she was either on a H2 blocker or a PPI. Barrett's esophagus is a disease that is considered premalignant and is usually a result of poorly controlled GERD, treatment is to decrease exposure to Protons. Now I am happy your wife's condition reversed, but that still leaves no room for sham treatments to have efficacy. Certain folk remedies have been found to work and the active component isolated.an example Bulgarian wise women would tell infertile women to drink the urine of widows. It's found that post menopausal women excrete a hormone in their urine which can be isolated and used in fertility treatments. In Israel at old age homes urine us collected and the substance isolated. As far as pressure points and puncturing , and I am not advocating for acupuncture as scientific, claims have also been made for simple massaging of pressure points. So puncture according to that system is not necessary. A researcher I know who was investigating Chinese herbalism told me that the herbal system is really about moderating and dispensing drugs knowing the interaction. An herbalist rarely dispenses only one herb. He told me that the system was based on observation rather than on a theory that was predictive, and any theory proposed was really just a system for enabling mnemonics. The bigger problem for using Chinese herbalism is that the FDA and scientific research really is looking for one active component rather than doing research on how components interact. On the practical pharmaceutical side, this affects research because drug interactions cannot be patented nor easily marketed. And conducting experiments on drug interactions is quite complicated. Placebo effect is notoriously high when it comes to pain treatment, likely because there is some psychological component to pain, but nonetheless it is well known reality. This makes it difficult to develop a pain drug that succeeds in clinical trials unless it is highly potent (to overcome placebo effect in the placebo group and show a difference from drug treatment greater than that of placebo). Everyone in the drug business knows this. So as for acupuncture, or anything else for pain, anecdotal accounts are less than worthless. I could probably rub Nutella on my behind and it would alleviate pain anecdotally in some cases. Have they ever tried a placebo controlled trial for acupuncture (fake needle pricking? Or pricking the wrong spots as placebo?) Or a head to head trial to prove it works as well as certain approved drugs? Doubt it. See you in prison lockup cell 24. Interesting analysis about the source of this kind of thinking. When we were growing up, science was looked up to by the frum community, and people cared about finding ways to reconcile contradictions. Now, they reject the entire premise. And here we are. They have to because it has dawned upon them that religion cannot be proven by scientific method. The best response is to reject scientific method. If you reject the scientific method, what method do you use to differentiate between effective methods and ineffective methods? Is this sentence missing the word "not"? Yes, I fixed it now. "He thereby simultaneously refutes the possibility of their being idolatrous and demonstrates them to be effective"
Playing with fire here. While you could potentially argue that the foundations of these treatments isn't idolatrous, the vast majority of people nowadays advocating these products are promoting beliefs of elohim acherim. The book is definitely a work of evil. But if it has the expected effect on its readership, the negative effects will mostly be felt by them directly. Suicide may be a sin, but there's only so much you can do to prevent it. Endangering your children is not suicide and neither is endangering immune-suppressed people and children who are too young to be vaccinated yet. Hence my use of the term "mostly". I disagree entirely. You call these methods 'quackery' which only shows your ignorance in the matter. Do you really think that healing practices that have proven themselves over thousands of years ? Yet you seem to think that modern medicine with less than 200 years of history is superior? The healing methods of HaShem are far superior to mans medicine - always has been always will be. My family will go with HaShems medicine Thanks. To correct this article, you only need to flip around modern medicine - thats the quackery. I agree with the Sages. "healing practices that have proven themselves over thousands of years"
"Yet you seem to think that modern medicine with less than 200 years of history is superior? " Yes. At the turn of the 20th century life expectancy in the US was under 40 years. Today it is almost 80 years. Most of that is the direct result of advances in medicine and public health. "The healing methods of HaShem are far superior to mans medicine"
This is also borderline heresy as you have just denied HaShem any role in 20th century medical miracles. When you say 'proven themselves over thousands of years' do you mean by causing people to live very short lives and a very high infant mortality rate? Ancient healing practices can be divided into two groups; those that work and are now part of modern medicine and those that don't and are therefore not part of modern medicine. The easy way to tell which are which is by proving they work. A) use all the devices and assume they work because they are in the bag. B) Experiment and then use those that work? c) Refuse to use those that work because you are against the experiments so you only use those left behind because they don't work. As a side point, how do you know the healing methods of HaShem? Do you really think that healing practices that have proven themselves over thousands of years ? Do you really think that those healing practices have proven themselves at all, never mind over thousands of years? Do you not have any understanding of what science is? I truly hope you are not responsible for the health of anyone other than yourself. Man's healing methods are Hashem's methods. These ancient methods have generally not been proved with double-blind testing which is the keystone of modern research. Time factors don't change this. If you are willing to risk your help with unproven nostrums go ahead but don't condemn those who want to move ahead. Stop. Full stop. No, there is no "proven themselves of thousands of years". For thousands of years these practices worked because medicine functioned on a "blame the patient for failure" principle. The practice work and if the patient failed to get better it was his fault. Yes, modern medicine of the last 150 years is superior and growing better all the time as it increases its reliance on vigorous scientific work. We use the brains God gave us to figure out how to survive the dangers in His world. As he wrote above for thousands of years people died at young ages. The fact that people's lifespans have grown at an amazing rate proves that modern medicine is superior. I don't understand why modern medicine is not HaShem's medicine. Who do you think gave the doctors the ability to heal? And, pray, tell me which of these practices have "proven themselves over thousands of years"? Also, what is the basis for you claiming that these are "healing methods of HaShem" and that that "mans" medicine are not? I guess thats why in the last 200 year average life expectancy went from around 35 to 80. Quick question: What was the life expectancy of people over the course of those thousands of years? And what is the life expectancy nowadays? And most importantly, how exactly is sticking needles into someone's back according to an ancient Chinese tradition that was invented in the 1950s by Chairman Mao considered "the ancient methods of HaShem"? Actually Marty, there's a different reason for the jump in life expectancy although yes, it has to do with modern medicine. Statistically, life expectancy is an average of death ages of the entire population. That means that in a society with lousy birthing practices where the neonatal and infant mortality rates are high, you will have a low lifespan on average because all those 0 yr olds bring the number down. In fact, excluding deaths under 1 yr of age our life expectancy hasn't increased that much in the last few centuries. The healing methods of HaShem are far superior to mans medicine - always has been always will be. I would like to add that this statement is literally Avodah Zarah, according to the Rambam. You are ascribing power to man that you do not ascribe to Hashem. Thus, you are claiming man is a power independent from Hashem. Thank you Garnel. Many people forget that last point of yours. A life expectancy of 38 does not mean that a 37 year old is in trouble. Dying at 0-1 does tend to drastically pull down an otherwise 70 year old average. But alternative medicine could be ineffective and it could be forbidden. It does not have to be both. But it probably is, separately. Btw, that book is not much of a secret. My pediatrician told me about it last week. Garnel says "...excluding deaths under 1 yr of age our life expectancy hasn't increased that much in the last few centuries." As a professional actuary I can assure that this is absolutely false. For example, in 1900, Americans aged 65 had a life expectancy of 12 years. By the year 2000 life expectancy at age 65 had increased to 18 years. These changes had nothing to do with changes in neonatal or infant mortality rates. It hasn't increased from 35 to 80. It increased 6 years according to you. That is Garnel's point. Hashem's medicines are the ones proven to work in the biological systems He designed. We have nature and human anatomy as He designed them and we can manipulate each and determine what interventions work or dont. Many interventions we now even model on Hashem's living systems we've learned about. Either prove it works or gtfo. Hashem otherwise never provided us with a list of medicines. Left for us to figure out. The author of this book will be joining me in the playground real soon. I don't know a whole lot about all the forms of alternative medicine. That said, I'm willing to say that most of these "alternative medicines" haven't been tried and tested by the scientific community because their explanations rely on mystical effects. Thus, the most scientifically minded do the same. I, myself, family, and friends have significant been helped by alternative medicines where Western Medicine failed. Placebo? Maybe but not likely. The real problem with this book described by Natan Slifkin is the dissuading of going to regular doctors. That said, I'm willing to say that most of these "alternative medicines" haven't been tried and tested by the scientific community because their explanations rely on mystical effects. That said, I'm willing to say that you're willfully ignorant, because you make statements that are demonstrably false. You'd apparently be amazed at what studies have been done and experiments which have been performed. Actually there's plenty of literature on alternative medicine and its lack of efficacy. Homeopathy was exposed as a fraud decades ago. Therapeutic touch was debunked by a Grade 7 science project in 1998. The rest have been similarly discredited. The response from the natural medicine folks has been that the scientific method can't be applied to their stuff which is like saying the law of gravity only applies to objects which are blue. Every single one listed by Slifkin has been tried and tested by doctors, and found wanting. "I have already mentioned that acupuncture has been found to be helpful for some kinds of pain." No more and no less than a really good placebo. Did you know that the placebo effect gets stronger if you merely tell the patient that the pill you're giving them costs more? The more theatrical and elaborate the so-called "intervention", the stronger the placebo effect. So is it a surprise that acupuncture has a particularly strong one? But when you test against fake acupuncture (fake pressure points, fake needles, etc.) the difference disappears. "Some botanicals have active ingredients that have medical use and this has been a very active area of research in conventional medicine for decades." This is standard science. You take something natural that is purported to have healing effects, you test whether it actually does, once you find out that it does you investigate which particular chemical compound inside the item is the one that has the healing effect, you isolate it/purify it/manufacture it, you make it into a pill (this is so you know exactly how much of a dose you're giving, because concentrations in living matter are incredibly variable; and also it's so you aren't taking hundreds of *other* chemicals from the same plant together with your medicine) and voila, you have real medicine. This is not news. Nor is it naturopathy. Naturopathy is the idiotic belief that if you extract the pure chemical from the plant, or if you manufacture the chemical, it's somehow less effective than eating the original plant. Worse, naturopathy takes all of the leftover "natural cures" that have not been made into pills because they've been proven not to work and continues to insist that they do work. There's a saying: "alternative medicine" is what you call something that doesn't work; if it worked, it'd be called "medicine". Why are you bring this as an example of alternative medicine working? It's not mentioned in Slifkin's post above, and for good reason: it's a form of exercise, like any other. Every kind of exercise improves quality of life. This isn't particularly surprising, nor does it say anything in opposition to modern medicine. Modern medicine says that if something can be proven to work, we should use it. Who cares if it's yoga or running on a treadmill? One thing you need to know about Charlie Hall is that he values extreme levels of honesty. So he will bring up all the facts, with citations. i have called a friend Charlie for over 15 years and can only say that if there were a lot more people like Charlie the world would place. "? But when you test against fake acupuncture (fake pressure points, fake needles, etc.) the difference disappears"
Actually, this has been shown to be completely false. As for those calling me ignorant (which I am) please share those articles that prove that these have been tested and wanting. @Zach Kessin: I took Yerushalmi's questions to be real questions and not a personal attack on Dr. Hall. @Yerushalmi: I think that Charlie Hall's point about ethnomedicine is precisely that scientific medicine will absolutely draw from folk wisdom if that wisdom can be validated experimentally. This is important demonstrate the point that you and Charlie Hall are both are making: there is no such thing as Western medicine. Medicine is medicine without prejudice as to the original source. This refutes the Luddite claims about how Western medicine ignores ancient and/or folk wisdom. Whether or not acupuncture has any clinical value is not germane to the question of whether modern medicine is prejudiced. The fact the acupuncture has been thoroughly studied shows that it is not. When you say "not likely," it shows you don't understand what placebo effect actually is. It means a person can become healed by a fake intervention believed to be real. Not fake healed but really healed, by essentially nothing. It could easily have happened to you. Same is true for any individual anecdotal case. I fully understand the concept of placebo. The reason I say not likely is because in my case and the case of my friends and family, we went to the "alternative medicine" after going the normal route. My case in particular: as a kid I had a severe case of warts. My parents took me repeatedly to a doctor who used liquid nitrogen to freeze them off. We went to another doctor who used lasers to blast them off. We also used garlic and, I kid you not, fresh pigeon blood from a pigeon we shechted in the backyard. It was then that we went to a Chinese doctor who prescribed herbs and acupuncture to deal with the issue and that's when they slowly but surely disappeared. A friend's father who passed away from cancer, who was also a certified doctor, went to this same herbalist (who apparently was trained in China in western medicine as well) traveling across state borders to see him. The list of successes from this "alternative medicine" is long and repetitive. And yes, he's a naturist. Once again, nothing you said disputes placebo effect as being responsible. So again you must not understand what it is. Why is your friends father a "success" story to you if he passed away from cancer? Obviously the herbalist didn't cure him. 1) All of the initial treatments were ineffective while the Chinese herbal medicine was effective. 2) Warts tend to grow back, but often resolve themselves on their own after a long enough period of time. Your brain tends towards explanation #1. The "post hoc ergo propter hoc" (after, therefore, because of) fallacy. But the only way to tell the difference is to observe a large enough group of people with the proper controls. In your case, the real answer is #2. Warts grow back and resolve themselves. My son had trigger thumb. What happened is that he got his thumb slammed in a door and we saw that he could no longer fully extend his thumb. Of course the accident caused his trigger thumb. Except that wasn't it. His condition was something called "congenital trigger thumb" and the door slam just got us to look closely at the thumb and realize that there was an issue. The doctor knew that we would have a hard time believing him because of the post hoc fallacy that I mentioned above. It is hard to let go of things that you were sure of that turn out to be ill-founded. Consider it a maturing process. Don't knock right pig testicle till you try it! Not all treatments lend themselves to double-blind studies. Invasive procedures generally can be at most single-blind, and interactive treatments must typically be unblinded. Just because you can't double-blind a study doesn't mean the treatment has no place in modern medicine. Otherwise you would need to get rid of surgery, psychology, and physical therapy. You don't need a double-blind study to prove observable results. You need double-blind studies to rule out non-observable causes. The most important blinding is that the persons evaluating the effect of the intervention are blind to the treatment group. That is the norm for all the areas you mention. I insist on it when I review research proposals (which I do a lot). It is important to remember that there are different levels of trials: single blind, double blind, randominzed, cohort, retrospective and prospective, etc. Each trial is assigned a certain weight (teshuvah from some guy in the YU Kollel vs teshuvah from some guy named, oh I don't know, Eliashiv) and understood accordingly. Yes, sometimes all we have is a retrospective non-blinded trial but we note then that the evidence for the treatment is weak but there are no credible alternatives. This should not be a surprise to you. It has become an fundemental "Jewish" belief in the last couple of decades that the Sun revolves around the Eart and if you don't accept that you deny the Torah. Never mind how Bereshis Chapter 1 is to be understood. Mitzvah gorreres mitzvah, aveirah gorreres aveirah and stupid gorreres stupid. When did math become a science? Jews believe the sun goes around the earth? Only Chabad does I thought. Everyone else has learned a bit of science over the past 500 years. "Second, there is likely to be a strong connection between rejecting conventional medicine and not vaccinating children. England's Jewish Chronicle recently published a fascinating and disturbing article about the very low rates of vaccination in the charedi Jewish community. This has catastrophic results; one charedi girl developed meningitis and required a triple limb amputation, r"l. The question discussed in the article is that it is not clear why vaccination rates are so low." Speaking from personal experience, the simple answer is a total lack of civic feeling. Every vaccine carries a small risk (sorry anti-anti-vaxxers). The optimal situation for any given individual is that everyone else has the vaccine and he doesn't. Until quite recently, every Haredi community in England was small enough that the logic still basically held even though everyone in the community was doing the same thing. More broadly, one should be aware of an ongoing low level conflict in the Haredi world between practitioners of alternative medicine, of which there are many, and those who declare that alternative medicine is avodah zarah. I used to be quite good friends with an associate of Rav Schmerla who was working on (for all I know he has finished it) a four volume demonstration of why they are all permitted. That his wife's best friend makes her living from dousing is pure coincidence. An obvious rejoinder (though one my friend never made, I think) is that western medicine is the *real* avodah zarah. "He states that requiring double-blind testing and rejecting anecdotal evidence due to the placebo effect stands in direct contradiction to Chazal, who only required that a treatment appear to work on three occasions to declare it effective. Which is indeed true, but it is also the reason why, in Chazal's time, life expectancy was very low and mortality rates were horrifically high." I think I know what you mean, but obviously it is not true that the reason mortality rates were high is because Hazal only required treatment to work on three occasions. You have numbers on that? It sounds completely wrong. You could perhaps gain a hypothetical tiny advantage on the riskiest vaccine if everyone you come in contact with is vaccinated (and let's see if that is true in practice), but if I have a school of 100 people with 50 unvaccinated fellows your individual risk is going to jump manyfold and wash out any such effect, I think. Don't attribute to malice what you can attribute to plain old ignorance. It's also true, by the way, that demographics in London have significantly altered the calculus. In most of England vaccinations for TB are given at age 12, in Hackney, where the largest Haredi community is, they are given at 6 months, like in Africa. Since Haredim find it difficult to differentiate between different groups of goyim, they have been slow to react to this change in epidemiological environment. While giving no numbers, that paper makes it clear that "perceived risk" is the driver here, not actual risk. Yes, in theory, if his model is correct, then even if "perceived risk" = "actual risk", as long as actual risk is non-zero, no matter how low, voluntary compliance will never result in disease eradication. In practice, they are probably so far off, that this theoretical effect is just noise. The actual drivers in the real world are perceived risk based on various "scares" that have no basis in reality. That why honest education is relevant to his model. If the perceived risk effectively equal to the real risk, then honest education doesn't help. Also, as I mentioned, if you and a high percentage of the people you come into contact with disproportionately stop vaccinating, then the disease risk is going to go way up. Bottom line is that I see no evidence that their behavior is based on rational self-interest. Simple ignorance suffices. I called it malice when you are not concerned for the other person, especially those who can't vaccinate and are at greater risk to begin with inside your own population. But I think that it is mostly sheer ignorance. It is true that Chazal matired carrying an amulet on Shabbat if it had worked three times. (Shabbat 61a) No consideration is given to whether it worked three times out of three or three times out of three million. But in another case, in defining a plague (Taanit Chapter 3) they did worry about the denominator. We cannot assume from those cases that they were worried about medical efficacy as there are other factors involved. Institute the prayers for plagues every time three persons will die and you destroy the economy. Matiring carrying on Shabbat saves people from death penalties. We see that in our times as rabbis refuse to use DNA evidence in paternity cases even though they are highly accurate -- they use less good science in order to avoid creating mamzerim. In any case, since the time of Rav Sherirah Gaon, it has been universally accepted that we accept advice from doctors over advice from Chazal. Volumes like this overturn a thousand years of rabbinic tradition. One wonders how such isn't considered non-orthodox. People who espouse the views of the author of this new sefer are FOS - full of sh@t. In a heartbeat, if they felt really sick or their live were on the line, they'd be running to the WESTERN doctor. Just more hypocrisy. More "makel on one's self, mahmir on other people"
I'm sure people where I live will LOVE this sefer. Oy! Really, is this drivel necessary? Is anyone moderating this at all? OK, full of nonsense with no value, so I suppose FOLTS - full of less than . . . 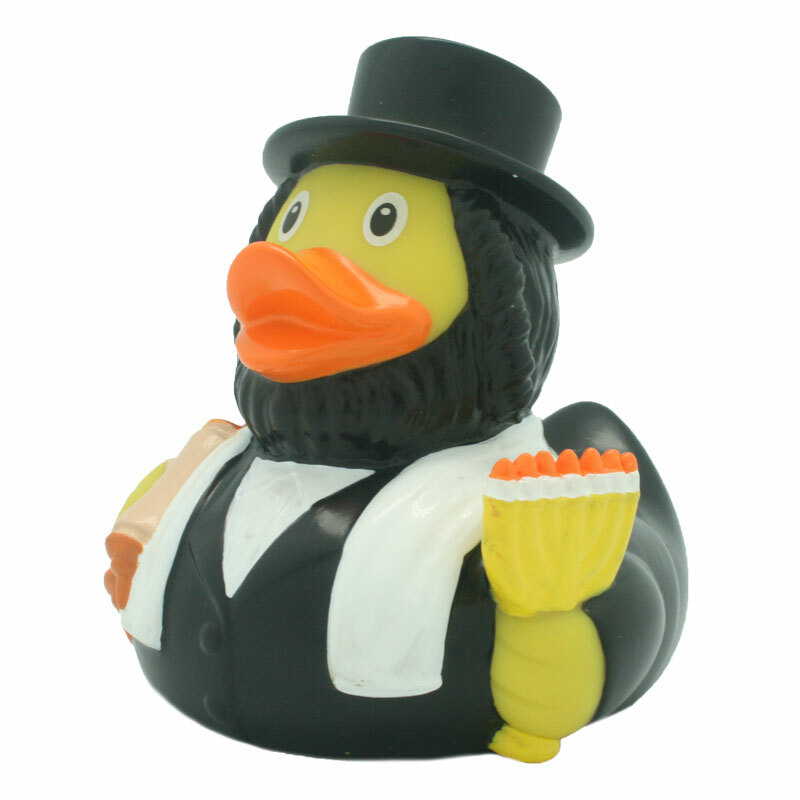 I personally know a renown Rebbe who participates in all sorts of quackery, but his ultimate go-to is the WESTERN doctor. It should be noted that in our holy writings there is the first recorded example of an intervention study with a control group -- in the first chapter of Sefer Daniel, when a vegetarian diet ("זֵּרֹעִים") is compared to a standard diet. Why Chazal ignored this in favor of inferior observational research as was typical of the gentile practices of the time is something no rabbi has ever adequately explained to me. We were literally 2,000 years ahead of the rest of the world -- not until the 18th century is there another record of an intervention in humans with a comparison group. So we should not be so dismissive of clinical research. We invented it! Actually there's a story in Niddah of the Chazal arguing with Cleopatra over the results of a clinical trial she conducted on her slaves. you say "- not until the 18th century is there another record of an intervention in humans with a comparison group. " Paré was a keen observer and did not allow the beliefs of the day to supersede the evidence at hand. In his autobiographical book, Journeys in Diverse Places, Paré inadvertently practiced the scientific method when he returned the following morning to a battlefield. He compared one group of patients who paid for treatment treated in the traditional manner with boiling elderberry oil and cauterization, and the remainder from a recipe made of egg yolk, oil of roses and turpentine, and left overnight. Paré discovered that the soldiers treated with the boiling oil were in agony, whereas the ones treated with the ointment had recovered because of the antiseptic properties of turpentine. This proved this method's efficacy, and he avoided cauterization thereafter. In addition to double blind testing there's statistics which can determine if surgeries help and often finds that some don't. Applied to mystical stuff, statistics generally comes up empty handed. The book will be a disaster not only for the chareidim who fall for it but also for old and immune suppressed people who come in contact with their non-vaccinated kids. How ironic is it that this book ought to be a Darwin Award winner? Energy healing (including via reiki and chi) should be treated as avodah zarah. Hi sorry to disagree. Acupunture is has helped me several times with problems that conventional medicine could not help me with .It helped my friend get pregnant when she had no success with conventional fertility treatments. It was an acupuncturist who detected that my friend had a problem with her liver and urged her to go to a liver specialist. It turned out that she had cirrhosis of the liver but it was caught early because of the acupuncturist. A good acupuncturist knows knows what she can help and what she can't. It helped my friend get pregnant when she had no success with conventional fertility treatments. It's really not worth trying to convince you, but no. Poking people doesn't make them fertile. The end. That's not what bashyl wrote. "A good acupuncturist knows knows what she can help and what she can't." Anecdotes provide no evidence on their own. Sometimes people have children after years of infertility without any acupuncture involved. We have to see what percentage of people treated by acupuncturists for infertility had children within a given timespan, and whether that is higher than the expected percentage. If that is the case we can start investigating as to what exactly the cause is. Is it a placebo affect? Does it matter where you put the needles? How many? How deep into the body they are driven? How thick they are? What they're made of? Etc. Welcome to evidence based medicine. "there is also a glowing haskamah from Rav Shmuel Kamenetzky, who is generally regarded as the most moderate (and most important) of all the American charedi Gedolei Torah." With Republicans about to end health care for millions of people and making access to health care more expensive in the US, this book is arriving just in time!!! At least people will have the placebo effect. This book is beyond chutzpah. It is criminal. I believe the answer to Rabbi Slifkin's final question is that the "gedolim" are at fault. They function as a parent in that community. Maybe one should read it before making such statements on a public forum. Jewish schools in California had some really awful rates of lack of compliance with vaccination protocols. This was one it the things that got the California legislature to ban non-medical exceptions to vaccination mandates. 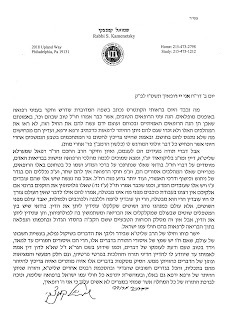 UPDATE: I was just sent a lengthy responsa by Rabbi Schmerla in which he opposes vaccines. If you "also believe that much of alternative medical practices work" you are incorrect. What is the basis of this belief? Numerous studies have shown them not to work except via the placebo effect. EFT may work (to the extent that it does work) as a soft science, e.g., in the area of therapy. That doesn't mean it will work as a hard science, e.g., help cure cancer. Back when we were discussing how it was that chazal knew pi to be irrational, I suggested that the non-rationalists opine that they knew it via mesorah from nevuah. That alone suffices to guarantee its truth. Similarly, it seems that R. Szmerla believes the same about these healing techniques: "For almost all these things, the author manages to find sources in the Gemara or Rishonim which discuss them." Chazal's statements originate with Hashem Himself, and therefore must be true, so if Chazal say these cures work, then they do. This is bad enough. What's criminal is the idea that medicine Chazal didn't ALSO know is ineffective or heretical. I wonder what makes him think Chazal would agree with him? Grammar is descriptive not prescriptive. Responsa is commonly used enough that it becomes a valid singular. I agree grammar is ultimately descriptive of existing conventions, but I wasn't aware that there was any convention to use 'responsa' as the singular as there currently seems to be to use 'data' in the singular, for example, as previously has occurred to 'agenda' and 'candelabra'. I could be mistaken of course - I just haven't seen it. Fiddlesticks and nonsense. A simple check on Google's n-gram viewer will show that responsum as a singular is many orders of magnitude more common than responsa. @Yavoy No, "bu" is the singular of bus. One bu, two bus. (Yes, it's in Spanish but I think you can get an idea of the content: "Torah and Homeopathy: two medicines for the soul"). And you have also the bestseller "The Garden of Healing", by Rabbi Arush. Torah as medicine? That's heresy! Of course, the title of book refers to "medicines for the soul." I'm not sure what illnesses of the soul can be cure by homeopathy. But the idea that one can find spiritual "relief" from anything but תורה & מצות strikes me as paganism. People seem to think there's a dichotomy between scientific method and irrationality. There are other ways of obtaining reliable information, such as deductive reasoning as used in Geometry or by the 18th-19th century French academies. At best, these are superior since the scientific method is a means of providing reliable evidence but rarely, if ever, absolute proof. There are also more methods for obtaining observational evidence other than what would strictly be considered scientific method, as are used in social sciences. None of this is to defend or support superstition or ignorance. So all the cures in the Gemara that are science-based (rightly or wrongly) are also the result of evil Greek influence which lead people away from Hashem? Also, I didn't realize that practitioners of alternative medicine from other cultures knew so much Kabbalah! Having read the book, are you able to answer the following and assuage my rationalist curiosity? Does the author (a) reject the effectiveness of scientific medicine, or (b) recognize its efficacy and (therefore) reject its effective use based on bitahcon principles? If (b) then what is the hashkafic justification for ANY medical intervention aside from tefilah/tzedaka/mitzvot? Does the author provide guidelines for determining what 'alternative' medical practices have efficacy? Is there discussion of additional practices he deems ineffective? Or is the whole point that these things are not supposed to be effective without a miracle so anything goes as long as its not avoda zara? Is there a discussion of how medical science differs from other science (i.e. why using engineering science to design an building that will not fall down is not a mark of poor bitachon, but taking antibiotics is)? Any discussion of veterinary medicine? As an aside, I've always toyed with the thought that the rabbinic prohibitions of taking medicine on Shabbat are largely based on the fact that for most of human history medicines and medical interventions were ineffective at best and (more often?) actually damaging, and that at some level Chazal recognized this. Looking forward to a full review. This is shocking. I predict that given the craziness of this book, there will be a backlash from within the Charedi world. Or the the book will not make it to press, or at the least the content will be watered down. "Man posesses a potential for recovery through the innate intelligence..."
"...it allows the force which created the structure to operate unimpeded." The above statements betray Goodheart's faith in עבודה זרה. "There is no היתר to use alternative treatment which originate in idolatrous beliefs, and are based in non-natural powers- unless it can proven that work according to the laws of nature. It's insufficient that the users believe that the treatments are natural...."
R' Elyashiv's student, Dovid Aryeh Morgenstern paskened that medical efficacy must be based on clear statistical proof which excludes the possibility of placebo effect, and also excluded anecdotal evidence. Or . . . hardly anyone will read it or care what it says. 100,000s of books are published every year and most disappear into obscurity. 2. Rejection of Eastern idol worship on which those fake treatments are based? My money is on #1. ".. the yeshivish rule that “if it’s not Jewish, we don’t like it” was flipped in the modern Orthodox world to read “if we like it, it’s Jewish”". So I offer #3 Post-facto sanctification or whatever is already accepted. In some circles עריות has been more than tolerated- it has been sanctified too. Why not שמץ עבודה זרה? "A straight thinking observant Jew cannot completely accept the principle of requiring scientific evidence to accept something because no such evidence is available for G-d's existence or for kabalas haTorah." Scientific evidence (or at least, lack of contrary evidence) is required by halacha. THERE IS NO DEBATE. You really haven't understood that the requirement for scientific evidence is designed to exclude events like kabolos hatorah. Nothing other than the physical is allowed. You can't have science and religion together. "There is evidence that acupuncture can be efficacious for treating some kinds of pain and this is pretty well accepted." Recently there was a meta-analysis (of several earlier studies) which claimed to show that acupuncture was SLIGHTLY more effective than placebo/sham acupuncture. Fake acupuncture was also effective, only slightly less so. Thus, most of the effect of acupuncture could be explained away by placebo. Of course, there no evidence at all that acupuncture, real or shame, can CURE anything. RELIEF of symptoms is another matter. "the vast majority of people nowadays advocating these products are promoting beliefs of elohim acherim." "Do you really think that healing practices that have proven themselves over thousands of years ?" Like bloodletting? Surgery without disinfectants? Unnecessary tonsillectomy? Can you name ONE ancient healing practice that is used today exclusively by the alt-med crowd? And proven effective? Hint: modern acupuncture has little resemblance to "traditional" acupuncture. "I agree with the Sages." The sages, present and ancient, paskened you have to go to real doctors. "Naturopathy is the idiotic belief..."
Naturopathy was developed by Benedict Lust who was into Eastern עבודה זרה systems. "Apparently the police had suspicions that the baby’s parents had not followed a doctor’s standard prescription of antibiotics to treat an infection, and had instead relied on an unlicensed alternative healer to cure her. We are all fond of quoting Chazal’s statement “the best of the doctors go to Gehinnom.” And few of us will reach middle age without a horror story or two concerning the hubris of doctors who thought they knew everything and failed their patients on that account. At the same time, the Torah explicitly mandates that a person pay the medical expenses of someone he has wrongfully injured. And when a great Torah figure is in a life-threatening situation, we can be sure that someone will pay to fly the top specialists to his bedside. A healthy skepticism about the all-knowingness of Western doctors is warranted. But too frequently the flip side of that skepticism is too great credulity about “alternative” treatments that are founded on no empirically tested scientific theory and buttressed by no clinical tests. I remember Rabbi Nachman Bulman, zt”l, once commenting to me about someone he observed going from one alternative remedy to another that such behavior had the taint of avodah zara about it. He was not referring to the fact that many alternative healing regimes have their roots in actual avodah zara, but to the willingness to leap at every new therapy – the more preposterous the better. As the wisest of all men put it, “A fool believes in everything” (Mishlei 14:15). Torah Jews base their lives upon their intense belief in Hashem, Whose existence cannot be demonstrated by our five senses. Sometimes that leads us to the logical fallacy of concluding therefore that the less empirically supported or scientifically-based a particular therapy is the better. That can be a fatal fallacy. " "modern medicine is just beginning to tap the curative powers of traditional folk remedies. The discovery of quinine to treat malaria, for instance, is but one famous example." Just beginning? Quinine was first isolated in 1820! "And uses acupuncture techniques that have been applied to hundreds of millions of Chinese over a millennia"
Rabbi Rosenblum can be forgiven for this very common misconception. Modern acupuncture bears little resemblance to the ancient practice. Do you know who the publisher is? Maybe we can protest its publication before they go to press. I wonder if the 16 rabbis who recently decried Mizrachi would do the same for this SHmerla. I'm thinking they won't because Mizrachi didn't have much "Gadol" capital, while this guy seems to have plenty and they're going to be seen as arguing against them. But, I hope they, and others, do. It's time to the Moderate Orthodox to stand up for what's right particularly in the face of something so dangerous. Time to use the same tactics as the chareidim. Ban the book, boycott the publisher, shame any sellers of it, etc. Various forms of alternative medicine has a strong following, in MO and charedi worlds. I cannot agree with your tirade against alternative and complementary medicine. This stance does more harm than the book could ever have. About immunisation rates in the charedi community,I can tell you that in Stamford Hill there was a concerted effort a few years ago by local frum GPs to improve immunisation rates. It had active support of local rabbonim including a letter posted in batei midrash. I didn't come across any negativity to immunisations from local leaders, quite the opposite. The low rates were mostly lack of awareness and being bothered. Not really due to odd beliefs. But of course dozens of studies have found homeopathy to be effective. But of course many of these studies have been large double-blinded randomized controlled trials, or even meta-analyses of such. Is The Lancet reputable enough for you? But of course almost all homeopaths realize this and their proposed mechanism for homeopathic effects not only survives this criticism but relies upon it. Have you ever spent the five seconds it would take to look up a survey of what percent of doctors and biologists believe homeopathy doesn’t work? Or are you just assuming that’s true because someone on your side told you so and it seems right? I am of course being mean here. Being open-minded to homeopaths – reading all the research carefully, seeking out their own writings so you don’t accidentally straw-man them, double-checking all of your seemingly “obvious” assumptions – would be a waste of your time. And someone who demands that you be open-minded about homeopathy would not be your friend. They would probably be a shill for homeopathy and best ignored. But this is exactly the problem!" "Homeopathy" is too vague to be meaningful. Slate Star Codex is awesome and should be at the top of every rationalist's blog list. "Is The Lancet reputable enough for you?" You're referring to the 1997 Klaus Linde paper. That paper itself was equivocal and concluded that there was no evidence for homeopathy's effectiveness for a specific condition. The data also showed that the effectiveness diminished for higher quality studies. Linde himself followed up with a 1999 paper in which he concluded that he had overestimated his conclusion in the earlier paper. A 2005 meta-analysis in the same Lancet journal also found no evidence. Linde concurred. Why are you citing a twenty year old study that has been superseded by the very same author & journal? "But of course almost all homeopaths realize this and their proposed mechanism for homeopathic effects not only survives this criticism but relies upon it." Wrong. There are no rational mechanisms that make any sense. Some nut may spew scientific terms like "clathrate" to explain homeopathy. First, proposed mechanisms are irrelevant if it doesn't work! It's like talking about the mating behavior of the Loch Ness monster. You can't do science on fantasy. Clathrates? No evidence that they exist in a homeopathic solution. No reason to believe that they would be there. And no reason to believe that such clathrates would have any clinical effect. So no, there's no proposed mechanism that's worth paying attention to. And note the quote "Now, The Lancet concludes, it's up to the doctors, who "need to be bold and honest with their patients about homeopathy's lack of benefit." For scientifically-literate physicians, that shouldn't be so difficult to do." The Lancet article was subsequently criticized, but for the reason that the meta-analysis it used was considered faulty. I took five seconds to look it up on Wikipedia, which states that homeopathy is "characterized within the scientific and medical communities as nonsense, quackery, and a sham." The article he is quoting is not arguing for homeopathy and in fact assumes that it is wrong. And about nutty health beliefs, it's far more in the anglo-Charedi world than the Israeli charedi world. Americans especially. The Israelis have a thing about natural treatments but seem to trust conventional medicine and not really go for the alternative stuff. Immunisation rates are not bad. The American chevra have a small but loud minority who are a different story. Anti-imm ideology, avoda zara-dik ideas about alt-med, crazy stuff. I should add that I'm in the thick of it. HaRav Blumenkrantz mentioned homeopathic medicine regularily in his annual Pesach Digests which points to evidence of popular favor in the frum community. My son's rebbe mentioned cut throat competition among Chareidim in the distribution of homeopathic medicine in Israel so its there -also popular with the Russian emigre's. Only conclusion is the old adage- "As the world goes, so do the Jews." The key problem is that much of science itself has been reduced to quackery. Look at the nonsense peddled in what is called "social science." Everyday we are told different "facts" about archaeology and paleontology. Yesterday Pluto was a planet, today it isn't. And for every one who believes fervently in global warming, another one thinks its a myth. Charedim are only our internal Jewish signs of people everywhere that are losing their belief in science. How can you blame them, the scientific "community" having been exposed as every bit as corrupt and political as any other lobby? The answer is thus not to rally on behalf of science, because that train has already left the station. The answer is to distinguish. Medicine is different than much of other alleged "science." As many have pointed out, the lifespan is undeniably much longer. Pregnancies and surgeries are safer. Diseases have been cured. The evidence is all around us. So one can acknowledge the legitimate skepticism behind much of what passes for science today. Modern medicine, however, is a separate issue. This, I believe, is the only way to convince skeptical people to vaccinate their kids, etc. Seeking to ridicule their beliefs, all of history shows, will only solidify their convictions further. All of science is either physics or stamp collecting. Your examples are the latter. One needs to understand the difference between the scientific method compared to 'playing with definitions' and 'data mining'. Too much to go into all of that in a brief comment. But most people haven't a clue what they are talking about. Great point, DF. Its terrible how these irreligious scientists are seeking to undermine our faith in the Torah through their quack theories about the age of the universe and evolution. You think science is wrong because of how many times science has proven itself to have previously been wrong. But what you don't get is that that is precisely the point of science. We know we don't know everything about the world. That's why we keep investigating it! And when we investigate, we learn things. And we keep refining what we learn and getting better and better at it, adding more and more details to our model of the world. For example. We learned there's an object out there called Pluto, and it's such-and-such size and such-and-such distance and takes such-and-such time to go around the sun. So we called it a planet in our ignorance of the fact that there are hundreds of thousands of others just like it. But now we realize it's really not that special an object, so we changed our labels. But that doesn't change the fact that it's still such-and-such size and such-and-such distance and takes such-and-such time to go around the sun. Science is right about what it discovers - dinosaurs are giant monstrous beings that existed Xty million years ago, Pluto is a distant object that orbits the sun, the Earth is warming. It is only the assumptions that we don't even realize we were making that were wrong! Dinosaurs looked rather different than we thought (because all of our guesses were based on skeletons, it's not surprising we'd need to fix our assumptions on this). Pluto is not unique (our telescopes have gotten better and allowed us to detect a lot more objects in that area, some considerably bigger than Pluto). The Earth's warming is not temporary (you are wrong about "for every one who believes fervently..."; 97% of climate scientists believe the Earth is warming). Medicine is no different from the other sciences. It is always learning, growing, refining what it knows. Do you know how many different treatments modern medicine has tried, thought they worked for decades, and then discovered they didn't work and thrown out? Do you know how many treatments worked but then were discarded because we discovered another one that worked better? There is no difference between this and any of the other hard sciences! Fantastic point DF.When you make it an all or nothing argument it becomes that much harder to convince people especially where it really counts.Any slightly nuanced person can argue vehemently against the anti Vax rotzchim and still acknowledge the corruption of global warming alarmists. Any slightly nuanced person can argue vehemently against the anti Vax rotzchim and still acknowledge the corruption of global warming alarmists. Maybe it's the other way around. After all, Pluto. Yerushalmi - I understand the point you are trying to make, that science gets things wrongs precisely because it is always learning more. Consider, though, what that boils down to: "Science should be accepted as right, because it is so often wrong." Not a very persuasive argument. Even if you don't quite intend to put it in those terms, that is what others will hear. Science should be accepted as right, because it is so often right, AND isn't afraid to adjust its stance on any given thing as soon as new discoveries and research compel it to do so. Unless you really want to claim that anyone who changes their mind about something due to better education should be labeled unreliable. I understand the point you are trying to make, that science gets things wrongs precisely because it is always learning more. Consider, though, what that boils down to: "Science should be accepted as right, because it is so often wrong." DF: JD is right. The larger point is that Science generally doesn't get things wrong. Most As JD pointed out most of the examples that you mentioned are not things that are wrong. 1) Pluto did not disappear. 2) Paleontology has made major confirmed predictions. The simplest one is as follows: Looking at rock layers, paleontologic stratigraphy set out a time order on layers of rock in the earth correlated with the fossils in those layers; they could not determine absolute time, but the ordering in time was worked out. Later on, when dating rocks based on radioactive decay (radiometric dating) enabled the rocks to be dated in absolute terms, the absolute dates came out in the order predicted by stratigraphy. Generally, I'm surprised by the support for basic anti-intellectualism. It's very easy to make science sound stupid. For example, take Newton's first law: "An object in motion continues in motion with the same speed and in the same direction unless acted upon by an unbalanced force." Anyone can see that Newton's first law is total bunk. Take an object an put into motion and it *always* slows down. Obviously Newton and the scientists are putting us on. I expect better from Talmidei Chachimim. I have a question for Nathan. When your book was banned you were bitter that people did not have the decency to meet with you, to discuss, before slamming your book. Is there a component of revenge in this article? There is absolutely no need for a person to reach out to an author before reading and critiquing his work. My issue with the Gedolim is that they did not read my books nor critique them. Rather, they were told certain things about them by kanna'im, and they banned them. By the way, I let your comment through this time, but in future please use a pseudonym or even your real name, if you can be brave enough. Love it when someone calls you out and you respond by telling them they are cowards. I know, its been years, and still touchy touchy...why don't you just move on. You're a tortured rationalist, we get it. Now can we get on with zoology, something you actually are good at and doesn't have barely veiled agendas stemming from resentment and humiliation? He didn't respond by telling them they are cowards - he responded with a precise refutation of their objection. Do you actually have something to respond to this post, or are you just resentful of R. Slifkin? Is it right to criticize something which was never published? To understand why rabbanim such as these are so anti-science, you must understand what science is. Science is the sanctification of knowledge.It is simply a mechanism to get the sheker out of statements regarding knowledge of a given subject. Science is like a ray of light that exposes falsehoods. Those who live in a world of falsehood are very, very afraid of science as it would most certainly expose them. Those who live in false words, whether they be religious, political, or whatever,must suppress anything that could expose them or diminish their power. Who needs segulos and alike when we can get real treatment? Inevitably, the question will be who needs them? I actually find this encouraging, because rabbis have tended to ban anything that seems the slightest bit associated with other cultures (such as yoga), while this kind of sefer goes against the hyperconformism associated with charedim. Most will continue to rely on conventional medicine, but for those who want to experiment, now they have a full-throated heter. Hopefully they will do their research and use those therapies with the most evidence for their effectiveness (like acupuncture), and that are the least problematic in terms of avodah zara or hashkafa (again, like acupuncture). That last sentence has two very curious claims. First, acupuncture has no evidence for its effectiveness. Have you seen acupuncture studies? No two of them ever use the same set of pressure points. No two of them ever use the same types of needles (electrostimulated vs. regular needles, etc.). And none of them use proper double-blinding, other than of course the ones that show no effect. Second, who said acupuncture is the least problematic in terms of avodah zara? Isn't it based on the belief in ancient Chinese mysticism? Is that not avodah zara in its purest form? There is plenty of evidence for acupuncture's effectiveness, and I don't agree with your characterization of the research. It is common for ideological capital-S Skeptics to make exaggerated and inaccurate claims about the state of research. I suspect the role of Mao in TCM is similarly exaggerated by people with an agenda. Chinese medicine is based on the idea of vitalism, that health is affected by the flow of life energy throughout the body. Vitalism is found in virtually all traditional cultures throughout the world, including Judaism (kabbalistic and chassidic literature is chock-full of such references). There are a number of frum acupuncturists and acupuncture patients (including rabbis in both categories). I've never heard of poskim telling someone that Chinese medicine is forbidden. There are some other forms of alternative medicine/health practices, however, that are more closely related to foreign religions, such as yoga, reiki and other specific forms of (what is generally referred to as) energy healing. With yoga, some rabbis say that the postures and breathing techniques are not themselves forbidden but should not be learned along with the philosophy, while others would forbid such practices altogether. I am surprised that the author of the book would not have a problem with any of these but would single out Feng Shui as the only problematic one. The Kamenetzky haskomo is dated rosh chodesh iyar 5767, almost 10 years ago. What happened? The tragedy is not what will happen to the adults who follow this idea. There will just be a few less fools alive; we have, boruch hashem, been blessed with so many of them in the Charedi Jewish community. The tragedy is what will happen to children who have no choice in the matter. It is part of the continuing process of self-destruction of the Charedi Jewish community. I do not envy the Charedi "Gedolim" when it is time for them to pay their respects to the Ribbono Shel Olam. The children will become adults who are not immunized and be subject to mumps and measles, debilitating in adults. This book has clearly been stuck in development for 10 years based on the date of the haskomo. Who says it will ever be published? Maybe the final version will be markedly different? Who knows? You should have held fire before reviewing. At the end of the day, every person has to decide for themselves whether to give more weight to anecdotal evidence/gut feelings/cherry-picked, poorly-designed, one-off experiments, or to the results of repeated, well-designed, double-blind experiments that produce statistically-significant results versus control/placebo (i.e., the scientific method). Thus, while I consider Gedolim who promote alternative medicine and/or recommend against using Western medicine to be fatally mistaken, I don't think that Hashem will punish them for their beliefs in this regard, since there is no clear halacha that obligates them to believe otherwise. However, until someone produces irrefutable proof that the scientific method contradicts the Torah, I will continue to believe that the scientific method and the better-than-placebo medicine that it has produced are great gifts given to us by Hashem, that belief in them is therefore belief in Hashem himself, and that I am therefore obligated by Him to use his gifts wisely by vaccinating my children and relying on His doctors. "I don't think that Hashem will punish them for their beliefs in this regard, since there is no clear halacha that obligates them to believe otherwise." I disagree. By establishing themselves as leaders of the community and taking responsibility for its welfare, they have an obligation not to shoot off at the mouth about things they don't fully understand - and this is ten times as true for life-and-death medical matters! One could argue that a gadol who out of ignorance promotes alternative medicine and recommends against Western medicine could be considered a רוצח בשוגג for every person who dies based on that advice. Willingly making a decision on something like this without doing the necessary research on scientific facts is the highest form of רשלנות. And God help them if they do it on purpose! "they have an obligation not to shoot off at the mouth about things they don't fully understand"
If they believed that they did not fully understand the issues, and then decided nonetheless to take a stand, then I agree. But I won't assume that this is the case just because I don't agree with their position. Do you have other evidence that they did not fully understand the issues? Getting things badly wrong when there is overwhelming evidence and almost everyone else gets it right is a good sign that one is doing something wrong. If you build a faulty building that falls down and injures people, then claiming that you really, really thought you understood engineering is not a defense. If you don't understand engineering, then don't build. Shev v'Al Taaseh. Anecdotal evidence does not count for much, especially when you take into account the placebo effect. The only meaningful test of whether a treatment works is double-blind testing, something that all these alternative remedies invariably fail. I would state it slightly differently. Anecdotal evidence is very susceptible to a variety of biases and errors, especially in something like medicine which involves the very complicated human machine. We have found experimentally that double-blind clinical trials are the best way to most definitively eliminate biases and errors. However, even anecdotal evidence, and certainly a variety of non-blind, non-controlled, and retrospective analyses, when considered very carefully, can give us a lot of useful information along with a lot of noise. If that wasn't the case, we would be in big trouble, because we would be doing double-blind clinical trials on randomly generated hypotheses. Instead, we take the most promising hypotheses based on other kinds of less sure evidence, and put them through clinical trials to reduce bias and error to a minimum. We unfortunately also do a lot of stuff (probably most stuff) based on such weaker evidence, because we have no choice: we simply can't do a clinical trial before every decision in life. As a dumb example, I know that in my computer work, whenever we do experiments comparing the performance of a particular computer systems, we don't bother to do any blinding. The potential benefits are not worth the costs, because the sorts of biases that such blinding would eliminate are not a big enough factor to be worth doing so. Please notify the FDA immediately about the false medical marketing claims. In the US, books are protected under the first amendment. False. Drug companies and their execs prosecuted all the time for illegal marketing practices. Putting in print is not a protection. No one is marketing anything. A little knowledge . . .
@Kev: This book is not marketing material. It is protected under the first amendment. Kev Trudeau's wacky theories are similarly protected and continue to be marketed and sold in book form, while marketing the ineffective procedures and products based on his theories is proscribed. This is because commercial speech receives a lower level of first amendment protection in the US than non-commercial speech. When the judge sentenced him he commented on how much the buyers of his books suffered financially. It is also illegal to make false medical claims. Should we start counting up the billions in fines and the jail sentences pharma execs have gotten? See u on cell block 6, we ae waiting for this rabbi. On the A"Z aspect of this, unless they are trying to please deities or heavenly bodies with their quackery, they are in the clear according to most or all Rishonim as best I can tell. With regard to acupuncture, I did a quick search on Google Scholar for meta-analyses of effectiveness. In the articles I looked at (abstracts only) - more than a half-dozen, not one had a conclusion that did not contain the words "insufficient evidence to conclude..." or some variation thereof. In other words systematic attempts by a number of researchers to find unequivocal evidence of the efficacy of acupuncture over either no treatment or sham acupuncture have signally failed to do so. 1) They measure the force on the crash dummy and then assume the the guy will hit as hard as he did on the crash dummy. 2) Then then measure it and see that it is actually less. It is no wonder that the partner has to be the one to hit him. 3) They also mention that you can actually build up your muscles to withstand that kind of force. They they claim that the subject didn't do that and uses Qi. So now the whole thing depends on believing his claim and not the testing. ואין הלכה כר' מתיה בן חרש שהתיר להאכיל את האדם ביום צום כפור יותרת כבד שלכלב שוטה אם נשך, מפני שאינו מועיל אלא בדרך סגולה. וחכמים אומרים אין עוברין על מצוה אלא ברפוי בלבד שהוא דבר ברור שההגיון והנסיון הפשוט מחייבים אותו, אבל הריפוי בסגולות לא, לפי שענינם חלוש לא יחייבהו ההגיון, ונסיונו רחוק, והיא טענה מן הטוען בה, וזה כלל גדול דעהו. By the way, Mossad HaRav Kook has published the medical writings of the Rambam, translated into Hebrew from Arabic, in 4 volumes. I wonder if Rabbi Szmerla consulted the Rambam's own medical writings as well--and whether they are in accordance with any of the "alternative" medicines, or more in line with conventional medicine. An interesting teshuva on the subject from R. Ratzon Arrusi, Rav of Kiryat Ono from the dwindling rationalist camp. Don't Chazal say you need three times in a row to make a chazaka for a cure? So, if you have three times in a row where it doesn't cure, then we can hold it doesn't cure, no?